Soak up the summer with this white sangria! A great summer drink, this fruity cocktail is made with a sweet white wine, brandy, oranges, and limes. Once it's chilled for several hours, to let the oranges and limes soak in, this white sangria will satisfy every guest at you next dinner party. 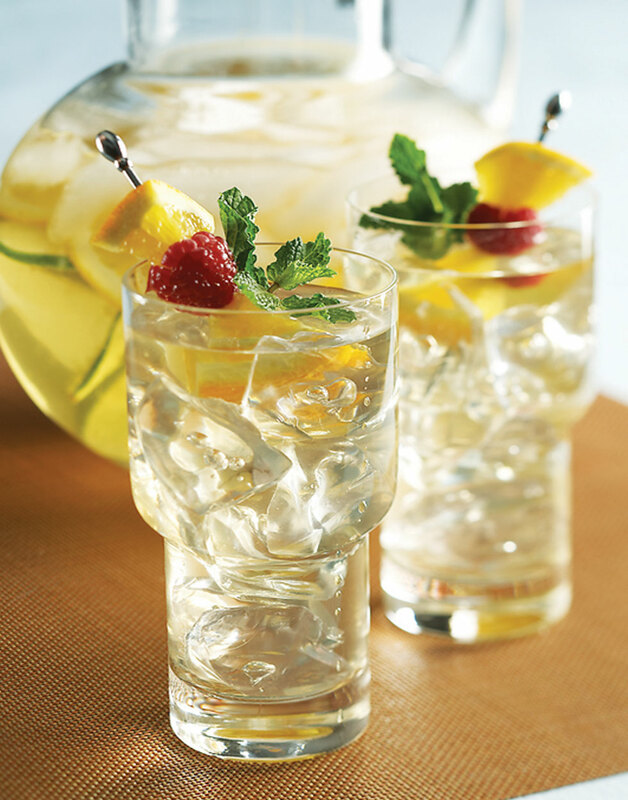 You can make this drink ahead, but wait to add the club soda until just before serving so it doesn't go flat. Dissolve sugar in hot water in a pitcher; add 1 cup ice, wine, brandy, orange slices, and lime slices. Chill sangria until ready to serve. Before serving, stir in soda, then pour into glasses over ice.